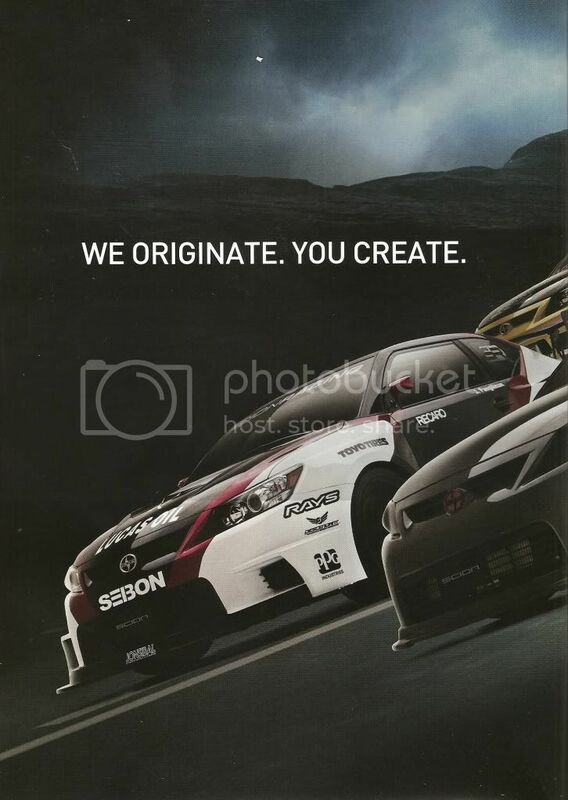 Scion USA has decided to pay its respects to the "Best of the Best" and most respected Scion builders in the nation by honoring them with a 2011 national ad campaign which is running in most of the major import magazines. Congratulations to Founder/President, James Lin and also, his fellow competitors, Baker and Pangilinan for a job well done. 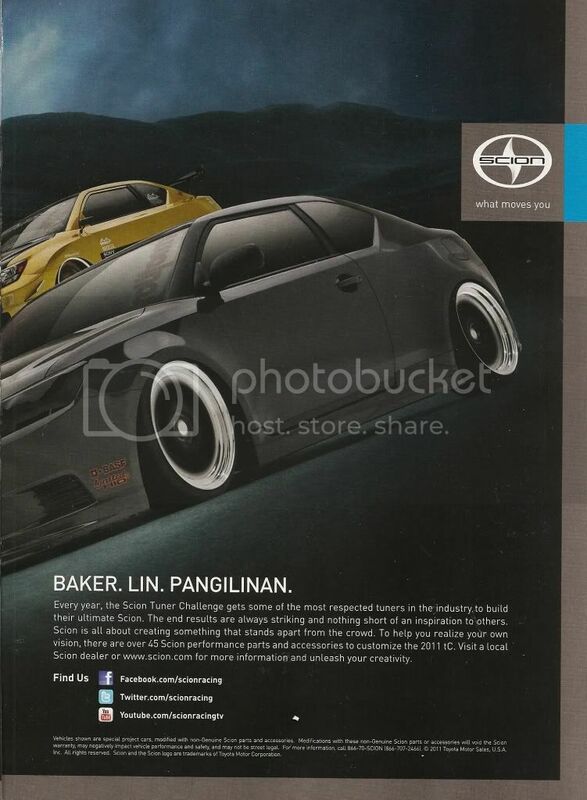 This is usually published in the inside cover of the 1st and 2nd pages in most of the major import magazines. Lastly, after CES, my 2011 tC is still currently traveling on the East Coast representing and showing @ all the major automotive car shows with Scion USA. I hope to see it make it back to the West Coast Events/Shows for the remainder of the year.